Before I get into today's recipe...Yes, we still have chicken pox! Ugh poor little Blakely just looks like one hot mess. I want to scratch her skin raw just looking at her. But she's still not phased by this whole experience. No scratching, still eating like a horse, and sleeping through the night like a champ! 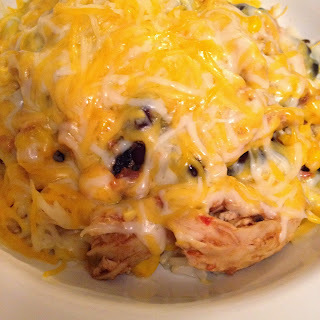 When kiddos are sick (or just anytime our lives are too crazy), crock pot meals are a great idea! I try to cook something in mine about once a week. It is just so nice that I can throw dinner in there in the morning or even at nap time (depending on how long the recipe needs to cook) and forget about it until we are ready to eat dinner! This meal was definitely a hit with everyone and will be making it's way into our regular dinner rotation! Yum! 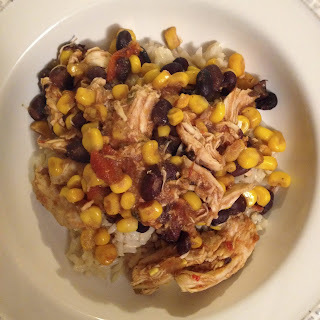 This dinner was a warm, comforting burrito in a bowl without the big flour tortilla. I did serve the mixture over some brown rice...but if you are really trying to watch what you eat you can eliminate the rice! Personally, I love the rice! 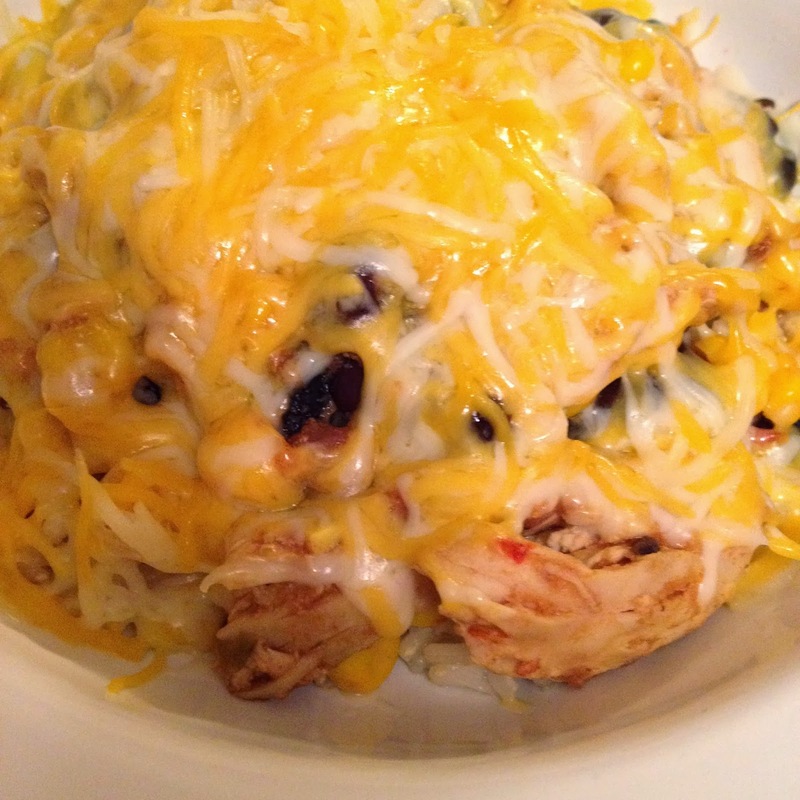 Serve over cooked brown rice and sprinkle shredded cheese over the top if desired! Now you can even get extra fancy and finish off your burrito bowl with fresh cilantro, a dollop of sour cream, some homemade guacamole or diced avocado! It's a great base for any flavors that you want to add. Don't forget I have two little kids eating this, but you can always add in extra spices to flavor it even more (red pepper flakes, diced jalapeño, etc. )!